This year will be the third year that we have presented the Ocean Spirit Award to someone that embodies our mission of protecting our blue planet through education that inspires advocacy and action. Past winners have included Lori LeFranc and her students (pictured above) for their work on the successful campaign to ban single-use plastic bags in Ipswich and Sierra Rothberg, a Dorchester resident that created a sustainable way to provide reusable bags to those that might be in need through her Boomerang Bag program in and around Boston. 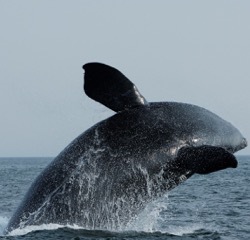 The 2019 Ocean Spirit winner is announced and the award will be presented at our May event On the Brink: Save our Right Whale. Save our Ocean. Who is your ocean hero? The W2O Ocean Spirit Award will be given to the individual that has encompassed our mission of educating and inspiring action by using grass roots initiatives towards protecting our blue planet. This nominee is a woman because we support the notion of empowering our ocean sisters to take a lead in protecting our blue planet. This nominee is a resident of New England. As someone who has initiated a grass roots effort, this nominee has a story about their conservation vision and evidence of measurable outcomes. Some examples might be someone who has worked on a successful campaign to change legislation or worked to change community habits around an environmental/ocean issue. It might be someone who has influenced change using art, music, or education and has inspired a group to take on action around the topic of ocean health. We hope to present this award to someone who has not been widely recognized in the past for her efforts. Instead, an “unsung hero” that embodies the notion that “you too can make a difference.” We ask that you look beyond W2O board members. We are delighted to receive your nomination for the W2O Ocean Spirit Award! A short paragraph about your nominee (300 words or less) with supporting documentation that will help us evaluate measurable outcomes that make this candidate noteworthy. Please submit to ellenforW2O@gmail.com by February 15th, 2019 with 2019 Ocean Spirit Award in the subject line. The Northeast Canyons and Seamounts Marine National Monument is the first fully protected marine area in the US Atlantic. It shelters vibrant underwater communities consisting of fragile deep-sea corals, diverse schools of fish and endangered species, including the North Atlantic right whale. Shortly after its designation on September 15, 2016, the Monument was put in jeopardy by our administration and the fishing industry who threatened to open up the Monument to commercial fishing. Our concerns now grow with the proposed opening of the Atlantic Ocean to new offshore oil and gas exploration which would put thousands of already vulnerable species at risk and cause devastating impacts to the ecosystem. Protecting the Monument is no easy task. It takes the hard work of biologists, attorneys, educators, advocates, conservationists and concerned citizens to keep attacks on its security at bay. Women Working for Oceans has long supported the Monument’s designation and recognized it vital importance to the health of our coast. Protection of our coasts and educating the public about the importance of marine protected areas is part of their mission. As a new member of the Young Professionals Action Committee at W2O, I wanted to investigate ways in which anyone—from the active advocate to the middle school biologist-to-be—can take actions to effectively defend the Monument. So, I sat down with Allison Lorenc, Policy Analyst and Outreach Organizer for the Oceans Team at Conservation Law Foundation (CLF) to find out the most effective tools. 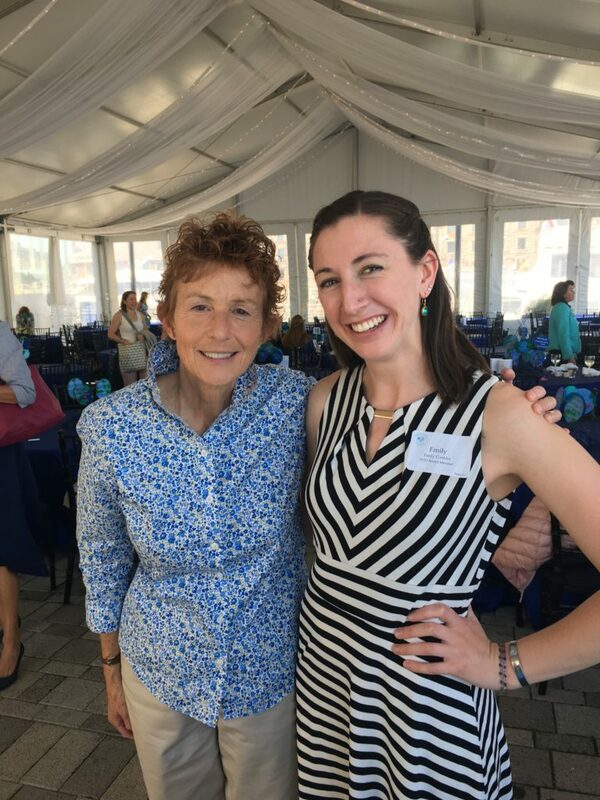 As an Oceans Policy Analyst and Outreach Organizer, Allison has met with stakeholders throughout New England to gain a broad range of support for the Northeast Canyons and Seamounts National Marine Monument. An exciting part of her job is learning just how many supporters there are; the recreational community, the conservation community, coastal businesses, the tourism industry, academia, zoos and aquariums are just some of the teams batting for the Canyons and Seamounts. Allison says that education is one of the most powerful tools we can use to help defend the Monument. “The more informed the stakeholder, the more empowered they are to stand up for support of the Monument,” Allison explains. She finds that by communicating the major positive impacts that protecting special places has on the planet and economy can help others understand the benefit of maintaining the integrity of the Monument. She says, “Protected areas are key to maintaining healthy ecosystems, which in turn help support a robust economy and a happy lifestyle. Additionally, protecting special places like the Canyons and Seamounts can provide scientists with an underwater laboratory for studying the ocean and assessing the impacts of climate change.” Informing the community of these benefits only strengthens conservation efforts. Advocates for the protection of the Monument, including CLF, W2O and NEAq, encourage you to speak up to defend our coasts and ocean. Simply by calling or writing and asking our own elected officials to defend our Monuments can make a difference. Join W2O for a film screening and chat to learn how you can protect our coasts from offshore oil and gas exploitation on Thursday, January 10th at 6:30pm. The evening begins with a screening of Working Films short feature Shore Stories, about offshore drilling and gas exploration, its development and production and its impacts on local communities. Our expert panel will end the evening with a robust audience-led Q&A session moderated by Vikki Spruill, President and CEO of the New England Aquarium. 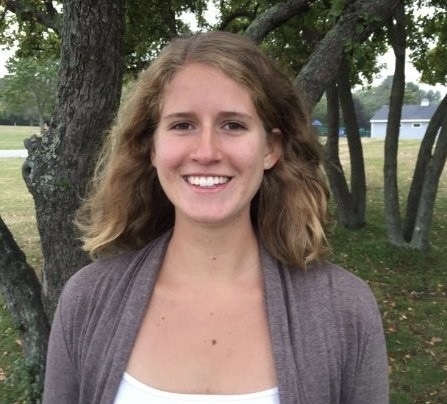 Blog contributor Cori Roach is a W2O Young Professionals Action Committee member and Research Associate for Conservation Law Foundation. She gets her biology fix by volunteering with the New England Aquarium’s Rescue and Rehabilitation team. She is passionate about ocean conservation and finds intrinsic value in every living being. The ocean and our climate are making the headlines with awareness growing about sea level rise, plastic pollution, and the impact of human-induced carbon emissions. Just when it seems the threats to a healthy environment can’t grow any longer, our elected officials have proposed the National Outer Continental Shelf Oil and Gas Leasing Program. This proposal would include seismic testing and offshore drilling in the Arctic and off of our coast in the Atlantic, prompting W2O and other organizations to challenge each and every one of us to defend our coast. The ocean has no borders when it comes to the threat of an oil spill. No herculean effort can contain a spill or determine where it won’t go. The ocean has its own agenda, especially with the proposed area for drilling including the Gulf Stream just hundreds of miles offshore flowing from Mexico right up to Canada, over to Europe and finally to the Norwegian coast. An oil spill would devastate the economic engines of New England; including tourism and the fishing industry. 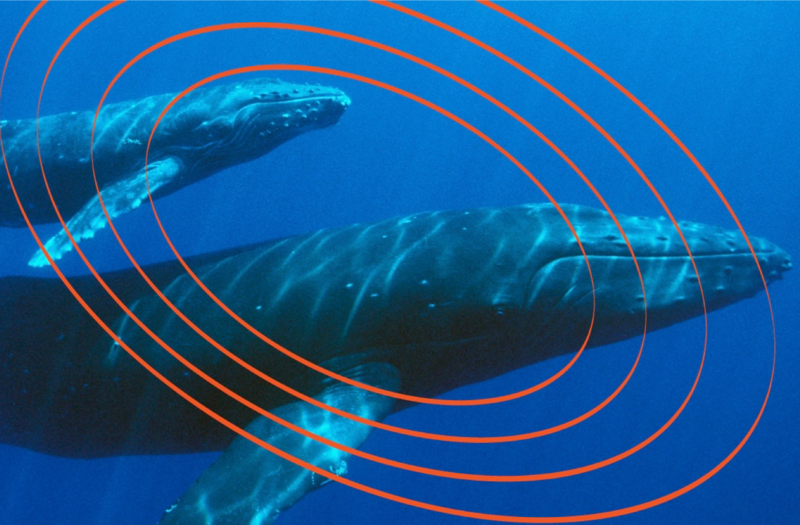 The first order of business before offshore drilling is exploration using seismic testing, which entails analysis of the ocean floor using airguns that emit a deafening sound. In a statement released this week denouncing the administration’s proposal, the New England Aquarium joined aquariums across the nation to warn of the dangers of this type of exploration. We think of our oceans as a silent underwater world. In reality, the ocean is full of noise. Diving on any given day, anywhere in the world, you might hear fish chomping, waves crashing, mammals calling to each other and even rain falling. Marine life is wired for sound and depends on it for finding food, mating, and migration. Our critically endangered North Atlantic right whale has fallen victim to multiple human stressors with only a few hundred left. These animals use the proposed area for drilling off of the Atlantic coast as their highway, breeding off of the coast of Georgia and coming north to feed right here in Cape Cod waters. Explosions in the ocean not only affect the largest of our underwater friends, but also the smallest. Important nursery grounds and our newly designated first national monument in the Atlantic, the North East Canyons and Seamounts Marine National Monument are at risk from this proposal. Zooplankton, which is an important part of the ocean food web and includes the larval stage of fish and other marine organisms, dies when exposed to seismic testing according to this article in Nature Ecology and Evolution. The sun might have been setting Friday night on Boston Harbor, but a schooner of 80 Women Working for Oceans (W2O) members and their friends were just getting started by raising the sails to kick off year-long deep dive dedicated to saving our iconic North Atlantic right whale. After last year’s unprecedented 17 right whale deaths from both entanglements in fishing gear and ship strikes, the North Atlantic right whale is now considered among the most endangered of marine animals in our ocean. The message of the evening is one of empowerment. “We humans hold the power to save the right whale, through increased research and new technology along with digging into our hearts. We can stop the killing and save this intelligent and family oriented whale,” said co-founder and W2O Director Barbara Burgess. 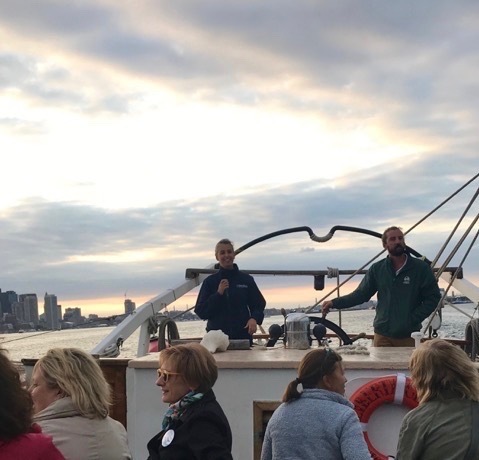 W2O members and their guests were joined onboard the Liberty Clipper by Anderson Cabot Center for Ocean Life of the New England Aquarium’s right whale researcher Monica Zani, who has been studying these animals for over two decades. Zani explained the challenges facing these whales, aptly named because of its size, ability to float, an abundance of oil, and slow speed targeted by whalers in the 18th century as the “right whale” to kill. Some of these same characteristics pose challenges now as this whale lives in urban areas along the eastern seaboard, putting it in the pathway of lobster and crab traps, shipping lanes, and other man-made pollution. Since the 70s the entire population of North Atlantic right whales have been identified and tracked through a catalog maintained at the New England Aquarium with contributions by the North Atlantic Right Whale Consortium. The animals are identified by physical markings, like color, fluke shape and health. This allows researchers to trace family groups, births and deaths, as well as the individual health of specific whales over time, including where they migrate to for calving, how they feed, and other life-history traits important to protecting a species. 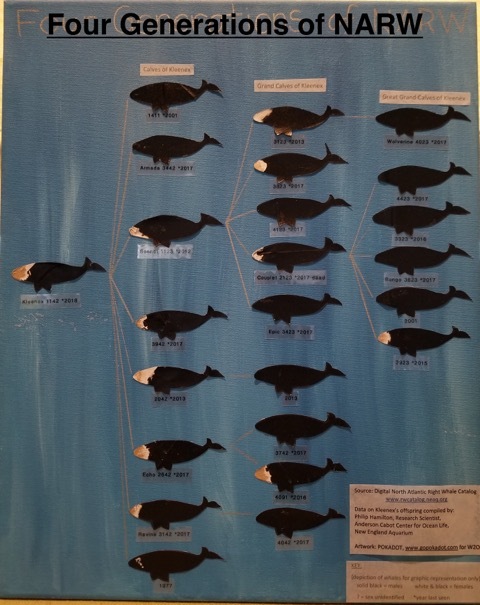 W2O Member Leigh Tappen provided a family tree of four generations of right whales, underscoring the loss that even one female represents for the future of the species. As Zani summarized, paraphrasing Dr. Scott Krause also of the Anderson Cabot Center, helping the right whale recover is something we already know how to do. “We simply need to stop killing them,” she said. The will to help our North Atlantic right whale among W2O members and friends is strong. 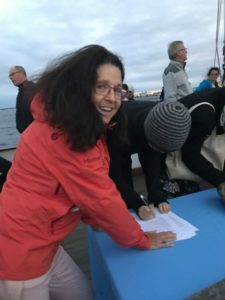 A heart-felt thank you to guests on our sunset sail, who started off this year right by signing over sixty letters to thank Senator Elizabeth Warren for her work in co-sponsoring the Save Right Whales Act of 2018. If passed into law this act will allot $5 million per year over ten years (2018-2028) in federal funds for conservation programs. The act aims to fund research for solutions that will reduce the lethal effects of entanglements in fishing gear and vessel collisions, the first and second leading cause of right whale deaths respectively. NH Fish and Game Department Cheri Patterson, Erin Burke from the Massachusetts Division of Marine Fisheries and Erin Summers, Director, Division of Biological Monitoring Maine Department of Marine Resources to learn more about one of New England’s oldest and most sustainable seafood industries: lobstering. It was an inspiring day of information sharing about the lobster population and their thoughts on difficulties facing the right whale. Please help us protect our marine treasures and heritage and defend the Northeast Canyons and Seamounts Marine National Monument, the first marine monument in the Atlantic, from being opened up to fishing by signing and sharing this petition in your networks. Read more about what’s at stake in this editorial by New England Aquarium CEO Vikki Spruill. I have always considered myself a problem-solver, a detail-oriented perfectionist. If something had to get done, whether finishing grad school or finding an apartment, I’d make an orderly list and move through the steps until the task was accomplished. Protecting the environment doesn’t have an easy answer or fit into this strict model. You can’t do it on your own. You need to find your group. I found W2O as an intern in 2016. It was a strong answer to my need to join a community to advocate for our ocean. Over the two years I’ve been with the organization, W2O has spoken out, raised our signs in demonstrations, and lobbied our legislators about important environmental issues that impact us all. The women I have met through this group are passionate and serious about building a community that strives to make sustainable choices. Being part of this group fueled my determination to make positive change. I want to help shape the story of our blue planet so everyone can see and find their role in protecting it. As I moved from intern to board member and social media manager, I wondered how we could expand this messaging to highlight activist passion in a more diverse base. With the recent increase in youth involvement inspired by the Women’s March, March for Science and the recent March for the Ocean, including younger voices and perspectives is forefront in my mind. More young people are raising their voices and mobilizing for causes they care about. As a young professional woman invested in the future of our environment and communities, I have felt the pull to stand up for our blue planet. I wanted to see how W2O could rise to meet this call. I am lucky enough to be surrounded by intelligent, environmentally minded women on whom I could test out my burgeoning idea. A community of educators, artists, activists, students- all with a different perspective and unique ideas on our one common problem: how do we live in a way that supports our livelihood and our planet? “Hey,” I asked them, “would you want to be part of a young professionals group that grapples with these issues?” Across the board, the answer was a resounding yes. Our first meeting was an informational gathering where attendees enjoyed pizza while I explained what I had in mind. I told them I wanted to take W2O’s mission of understanding and advocating for our ocean and expand it to better fit the demands, restrictions, and interests of young professionals’ lifestyles. There are so many voices and ideas that we haven’t been hearing on these issues, and I have been at a loss to find a space where genuine discourse is created and encouraged. I say we make one. The women in that room came for different reasons, from different places, but we were collectively energized by the idea of cultivating productive discussion surrounding the often troubling, discouraging problems we face. That day, we threw around questions like: How do we make sustainable choices without breaking the (sometimes very tight) budget? How do we make a policy impact and responsibly raise our civic voices through voting, rallying, and all around advocating? Do you all feel hopeless and, if you do, what can be done to pull us out of that feeling and move forward? And that was just the beginning. We may not have the solutions, but there is inherent value in finding allies and creating an opportunity to discuss the intricacies of the issues we face. I left that meeting pumped. My generation is far from apathetic! They want to engage! And they’re willing to help me create a forum to do so! From that meeting, W2O’s Young Professional Action Committee (YPAC) was formed. Our main goal is to create an accessible, inclusive space for folks to engage with the dilemmas facing the world around us. The Action Committee will take our concerns and drivers to create programming that W2O’s young professional members can engage with and enjoy. We want to work together to make sure we all understand the threats, to our planet and to ourselves, and that we all feel safe to participate in building solutions. Every stressor is an opportunity for discourse; every perspective is a chance for fresh analysis. Whether it’s a beach clean up, a voter registration event or a conservation-focused happy hour, we aim to make a space where young people of all genders and backgrounds are welcomed to voice their concerns and weigh in on solutions. I can’t wait to bring everyone to the table. I can’t wait to help people find their group, as I have found mine. Sometimes, we might still feel hopeless. It’s ok- that’s why we have each other. Right now, I feel empowered by this group, and we’ve barely even started. For questions about YPAC, please contact Emily Conklin at emilyforw2o@gmail.com. To join W2O at the young professional level, visit our Membership page. Our next young professional oriented event will be a happy hour meeting at The Reef, after which we’ll attend NEAq’s lecture series installment from MCAF Fellow Kerstin Forsberg on Manta Ray conservation in Peru: September 26th at 5:30pm. Follow us on social media for upcoming events! The week ended with The March for Our Ocean, produced by Blue Frontier and partners to bring ocean awareness to the public across the globe. Thousands marched with a renewed purpose of ocean advocacy. Now what? Time to vote! We are all constituents of our elected officials and we have enlisted them to act on our behalf. Yet somehow, the ocean is not often on the agenda of what we ask from them. For coastal communities, the ocean is always reminding us of its importance. We rely upon it for food, tourism and the air we breathe. When, during a weather event, the ocean lashes back at us we see and feel the fiscal consequences of erosion, storm surge, and lost industry opportunity. When the storm is over, we take the ocean for granted and assume it will continue to provide for us. Out of sight and out of mind, to some, the ocean is way down on their totem pole of important issues. Let’s face it, today there is a myriad of issues worthy of our concern. When we marched for the ocean, we showed unity across the spectrum in the knowledge that we have just one ocean. We need a healthy ocean for our own health, whether or not you live on the coast and regardless of your political views. Supporting legislation that defends our ocean from harmful action is part of our W2O mission. We promise to speak up and out, marching and meeting, but we need you to use your voice as well and vote with our ocean in mind. Everything flows to the ocean and no matter where you live, there are initiatives for legislation that will affect the quality of lakes, streams and rivers that flow to the sea. If you vote, thank you! If you wonder if your vote will count, please consider the alternative. The ocean is what sustains us and gives us life. The ocean needs your vote. It’s as if Mother Nature herself rolled out the red carpet for W2O’s recent Think Big event at the New England Aquarium (NEAQ). Spring finally came to Boston Harbor and filled the tent with fresh sea air; Dr. Asha de Vos inspired with stories of her unlikely journey to becoming a marine biologist and blue whale expert in Sri Lanka; and our guests gave generously to support scientists working worldwide on the forefront of marine conservation through the NEAQ’s Marine Conservation Action Fund (MCAF). 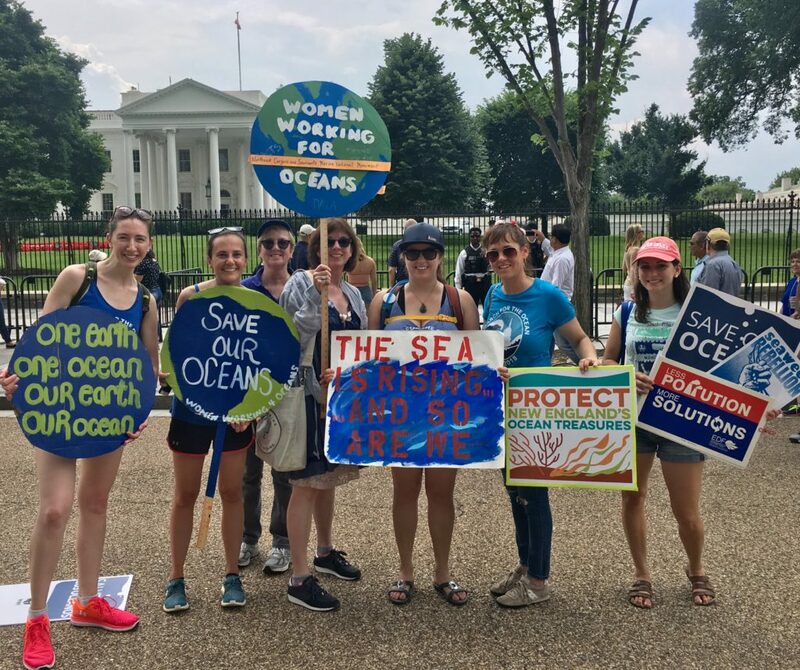 But the real stars of the day were each of you—W2O Members and their friends– who attended and left with plans and dedicated actions to take on behalf of our ocean. In response to past events, attendees have shared stories of how they have changed minds in their community about using single-use plastic, have researched and purchased more efficient cars and have stepped up to speak out on behalf of our ocean at the MA State House and in Washington D.C.
We delight in our being able to produce sold-out events, but the real success of W2O is when the topic of our events resonate with attendees and then, in turn, they take what they have learned and leave passionate and empowered to join our ocean workforce. After hearing Dr. Ahsa de Vos at our recent event, Montessori teacher, Dilani Vytheswaran wrote to tell us how she brought Dr. de Vos’s message about the importance of protecting the endangered North Atlantic right whale to her young students. According to the Anderson Cabot Center for Ocean Life at the New England Aquarium, the number of North Atlantic right whales are in decline because of stressors including ship strikes and entanglement. We need whales for a healthy ocean. They regulate the ecosystem and are our ocean’s unintended farmers, fertilizing the plants that give life to all ocean animals. Our ocean feeds us, gives us joy, regulates our weather and is the economic engine of our planet. 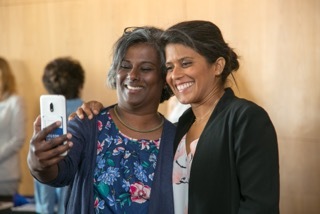 Thank you Dr. Asha de Vos for your inspirational talk and thank you Dilani Vytheswaran for spreading the word, to our youth, their families and the school community about protecting the endangered North Atlantic right whale. It is stories like these that give us hope for our ocean. Warmer weather means vacation and beach time on the East Coast and it is the perfect time to say thank you to the ocean. Renew your pledge towards protecting our blue planet by thinking about your use of single-use plastic. 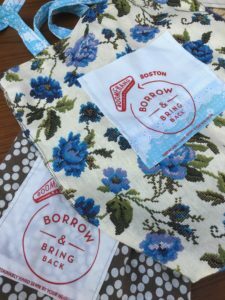 You’ve been great about grabbing your reusable, washable grocery bag this winter. Now is the time of year to up your game and remember to bring those bags to the farmers market and the beach. Your reusable coffee mug is now part of your morning… but wait! It’s iced drink season! Switch your mug out for a reusable cold drink container and make that part of your summer commute. Words of wisdom have paid off and you are now an avid user of sunscreen. This summer is a good time to make the switch to coral safe, ocean-friendly sun protection. Cover up when you can and choose a mineral based sunscreen to keep your skin and our ocean healthy. When you are watching the sunset on the deck of some happening place in the city or by the beach, say “no thanks” to a straw for your drink. Catch the wait staff early with this request if you can. Missed the opportunity? Have another drink and try again! 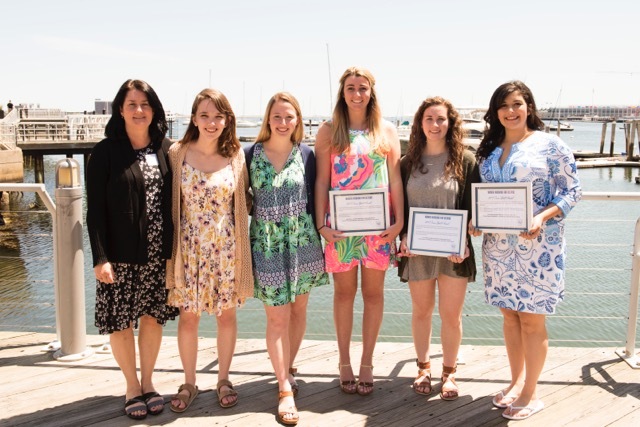 We are so proud this year to present our W2O 2018 Ocean Spirit Award to Sierra Joy Rothberg for digging deep and coming up with creative solutions for the reduction of single-use plastic pollution in her neighborhood of Dorchester and for all of Boston. The W2O Ocean Spirit Award honors the individual that has encompassed our mission of educating and inspiring action using grassroots initiatives towards protecting our blue planet. Knowing that single-use plastic bags litter our parks, clog drains and end up in our waterways, Sierra and a team of activist (including her supportive family and a very determined girl scout troop) fought for the Boston bag ban and then started Boomerang Bag Boston to provide reusable washable bags to communities that might need them. 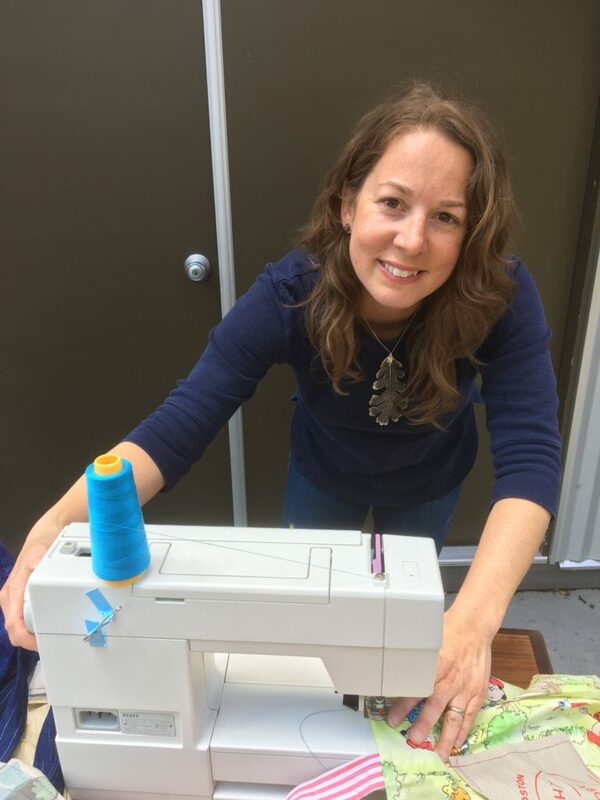 Partnering with local organizations, Sierra holds monthly sew-a-thons and to date has made over a thousand bags, helping to reduce the amount of plastic that ends up in our ocean. Repurposed donated fabric is used for these washable beautiful reusable bags. Sierra Rothberg has serious skills. A creative entrepreneur with her own company, Lusterity, she can take something and make it into magic. With a mission of sourcing local products for socially conscientious events, her resume includes floral arranging, graphic design, event and organizational planning, development, being a data geek and community activism. Recently Sierra was hired by The Martin Richard Foundation as director of the community service component for One Boston Day. This day “serves as an opportunity to celebrate the resiliency, generosity, and strength demonstrated by the people of Boston and those around the world in response to the tragedy of April 15, 2013,” explains the organizers of the event. Sierra has just been hired as Director of Service Projects for the Foundation’s “Do More-Serve With Us” campaign inviting people to continue volunteerism throughout the year. Sierra is someone that you want on your team! It is fitting that Sierra will be presented the 2018 Ocean Spirit Award at our May 15th event featuring marine scientist Dr. Asha de Vos. Both women believe that community engagement to protect our blue planet is the key to making the meaningful lasting change that will benefit folks that are the day-to-day recipients of those efforts. Sierra and Dr. de Vos are “can do” women and mentors that bring hope to their communities. Come join us in honoring Sierra at our event Think Big on May 15th. The lecture is free, but you must REGISTER. A whale watch is the crown jewel of a visit to New England. A massive creature breaches out of the water in a majestic display of torque, seemingly defying gravity as she reaches for the sky. Time slows and you gasp. We watch spellbound as she crashes back to the water and slips gracefully beneath the waves. We are understandably in awe of the spectacle of what we see above the water line, but what happens during all that time whales spend beneath the waves? Why do whales matter? 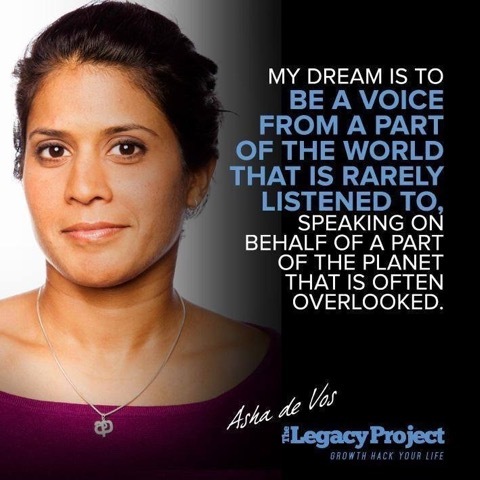 W20’s spring event keynote presenter Dr. Asha de Vos’ lifelong devotion to understanding and protecting whales can shed light on both why whales are important to us and how to defend these majestic creatures. Dr. de Vos, founder of The Sri Lankan Blue Whale Project is no stranger to the importance of demystifying the value of these leviathans of the sea. She evangelizes about whales as ecosystem engineers whose poop is an ocean fertilizer upon which all other ocean life depends. During their deep dives, whales then provide mixing, bringing those deep water nutrients up the water column with their massive frames so that other marine animals can also benefit from them, including phytoplankton which uses these and other ingredients in the process of photosynthesis. You could say that whales are among the largest cogs in a system of interlocking levers and pulleys that drive the healthy ocean we all rely upon: one that regulates our weather, provides us with half of the oxygen we breathe, and supplies 2 billion people with their daily protein. “Save the whales, and you save our fish,” de Vos explains. But that’s not all. As Dr. de Vos reminds us in one of her many TED Talks, whales are knitted into the very fabric of our history, mythology, and identity. The iconic North Atlantic right whale, which graces our license plates here in Massachusetts, was once so abundant in Cape Cod Bay in the 1500s that “you could walk across their backs,” de Vos says. Today, right whales in our waters in New England number in the hundreds. The critically endangered whale just this past summer had a record number of deaths from fishing line entanglements and ship strikes. According to Vice President and Senior Scientist at the New England Aquarium Scott Kraus, without human introduced stressors, the North Atlantic right whale can live up to 100 years. Sadly, this year is the first time since the monitoring of these animals began that no calves have been spotted in the predicted breeding grounds off the coast of Georgia. Scientists are sounding the alarm that unless something is done about the many threats facing these animals, they may become extinct within the next twenty years. Time is running out for these animals, so what is to be done? “We only have whales in our waters now because of the ‘Save the Whales’ movement of the 1970s,” de Vos points out, “after whaling in the 1800s nearly decimated the population.” (The Right Whale was so named because it was then the right whale to kill, because it floated to the surface, making it easily transportable by towing and had abundant whale oil.) It was ordinary citizens who stepped up to fight for the end to commercial whaling and put the Marine Mammal Protection Act in place. Dr. de Vos’ work today in her native Sri Lanka protecting the blue whale has involved an unorthodox combination of engaging citizens, fishermen, entrepreneurs and young people in science through the organization she founded, OceanSwell, Sri Lanka’s first marine conservation research and education non-profit. “I’m committed to the idea that all conservation is local and that solutions to conservation can come from all corners of the globe,” she explains. “Discoveries might not come from scientists,” she adds. “They might come from ordinary people who are passionate and can become involved,” de Vos wisely sums up. At this moment in time, when our beloved New England right whales are like a canary in the coal mine demanding us to take action against multiple threats facing our ocean including plans to resume oil and gas drilling off of our shores, the weakening of the Marine Mammal Protection Act, plastic pollution, and ocean noise, Dr. de Vos offers a timely message of hope and a blueprint for moving forward. Each of us can take up a bucket in the brigade to save this icon. Join us to welcome Dr. de Vos on May 15th at Think Big: A Passion Lived. An Ocean Saved. Although our annual luncheon associated with this event is sold out, we have availability for Dr. de Vos’ FREE lecture.